We want to help you make self-storage simple. 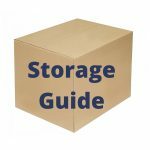 Our chart displays the most common self storage sizes. Be sure and contact a onsite manager for recommendations on sizes to fit your needs. 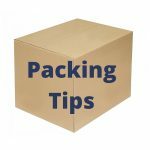 Why should I store my belongings with your company? Our storage units are rented on a month-to-month basis. We believe that everyone has different storage needs; your rental with us can be long or short – depending on your needs. Click here to see what storage size will best accommodate your needs. What security measures do you take to protect my belongings? Trust Your Stuff to Us: We provide TV Monitoring, Video Recording, Security Gate & Onsite Management. Your rent is due on the renewal date of each month during the term of your agreement. Every single building is treated for pests. Our onsite managers help us determine when these treatments must be done. If you are concerned about the treatments that we use, please reach out to the managers of your storage facility. They can explain to you what is being used and how frequently these treatments are required.